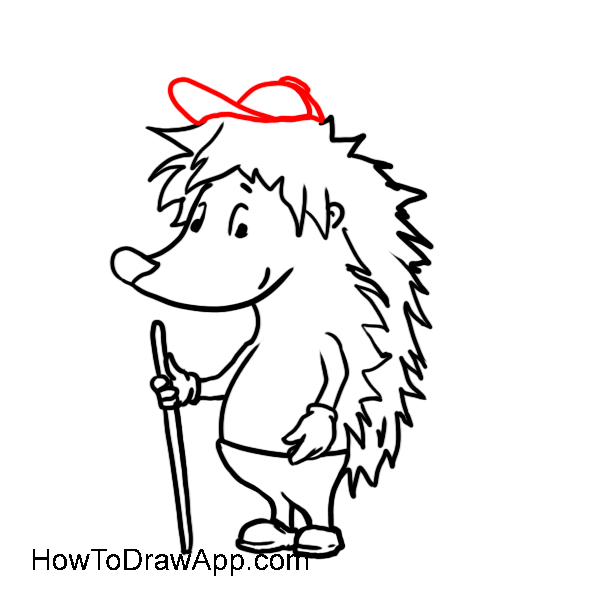 Learn how to draw a hedghehog step-by-step. Draw a long curved line on the right to mark a border of the picture. 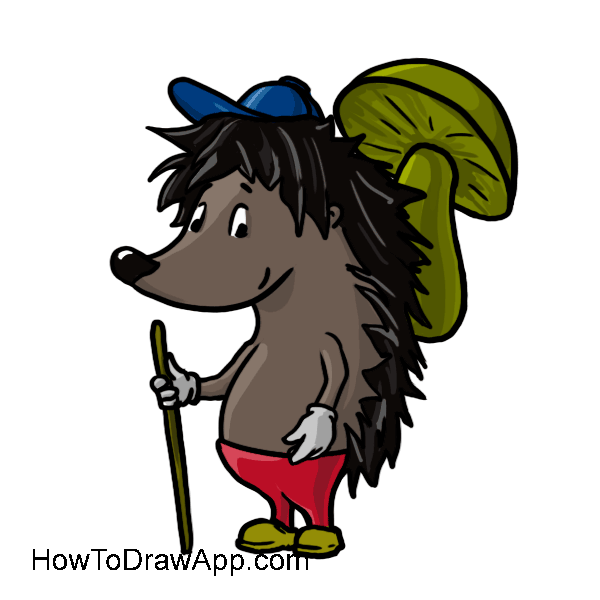 Schedule places where an eye, a mushroom on the back and a walking stick in the hand will be. Schedule lines of the tummy and snout. 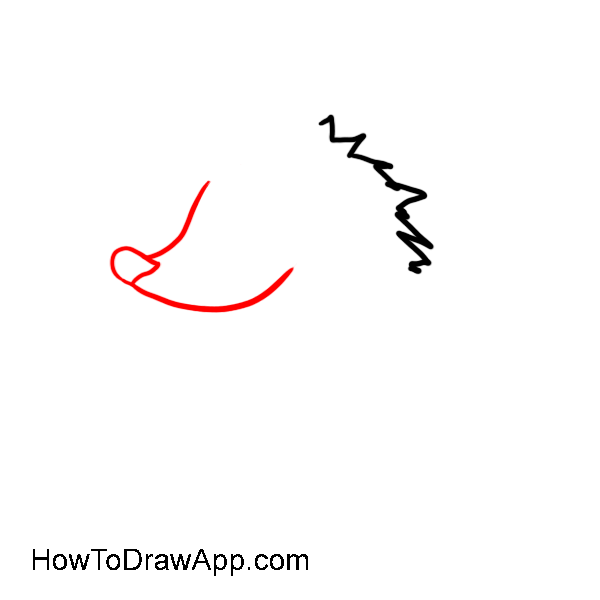 Draw a sharp curved line to make spines on the head. 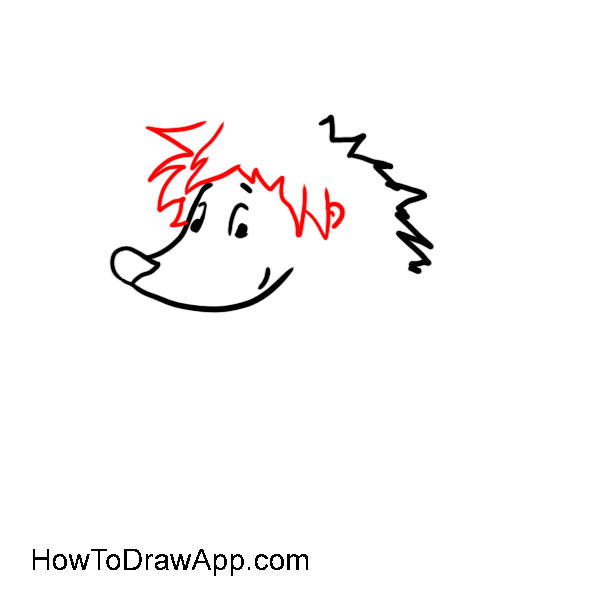 Draw a sharp little snout with a nose on its top. 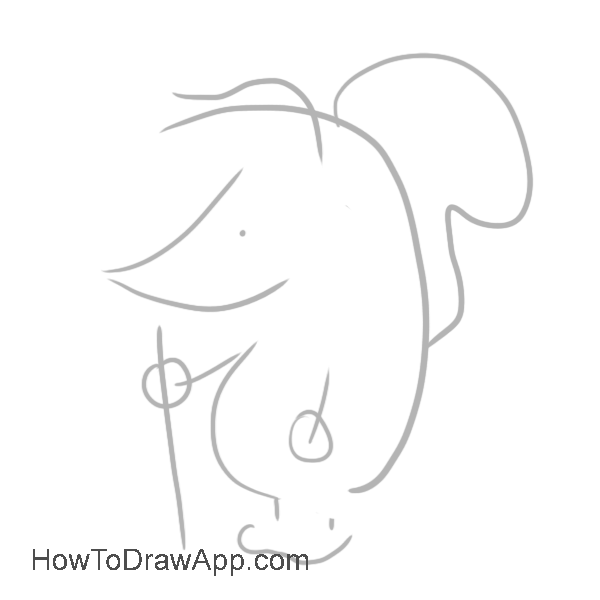 Draw 2 little eyes, brows and a mouth. Mark a line for spines on the head. 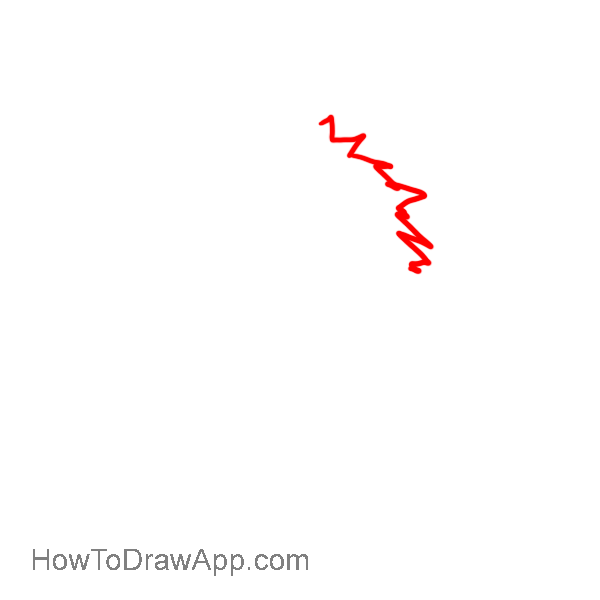 Draw a convex belly line. Mark one arm. 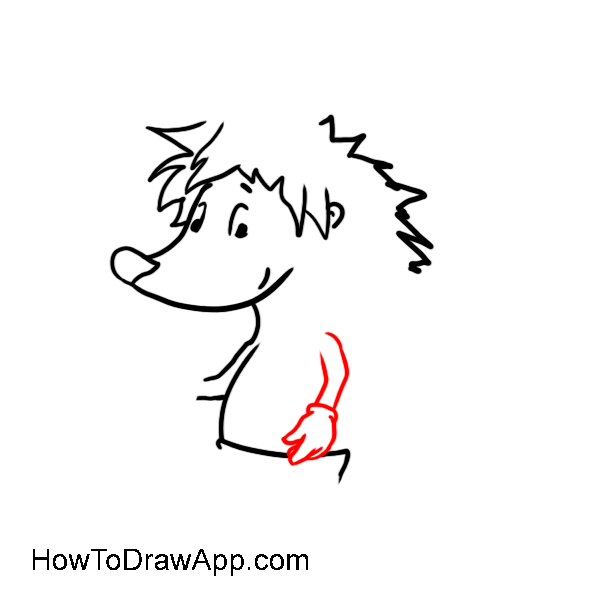 Draw an arm and a hand on the front. 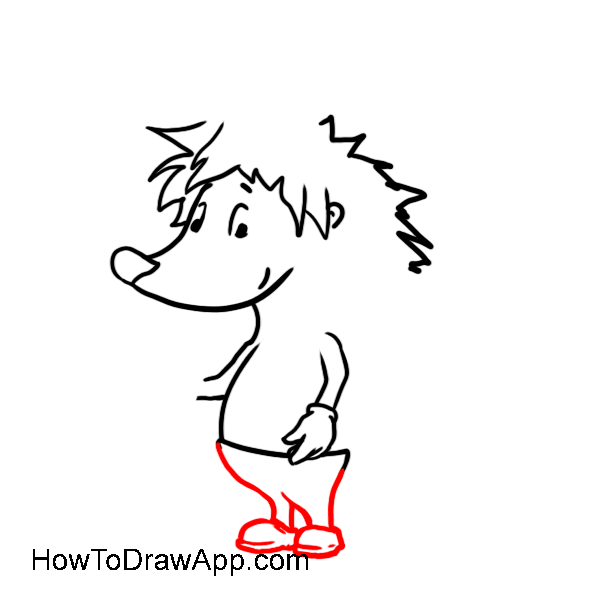 Continue the belly line down and draw lines for the legs and boots. 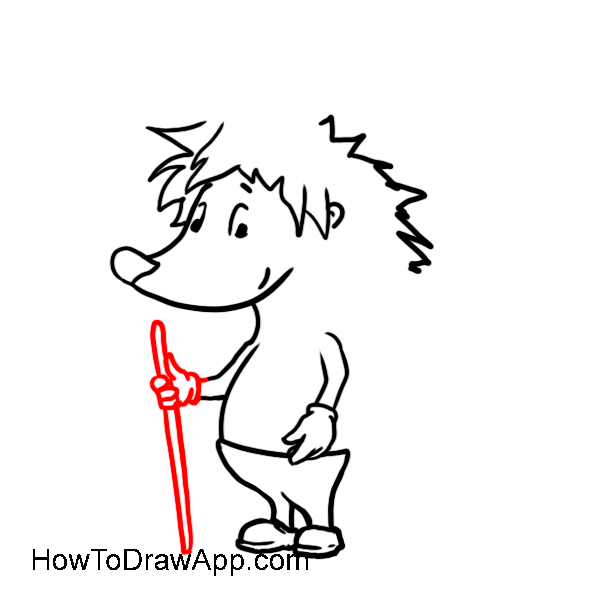 Draw another arm and a stick. 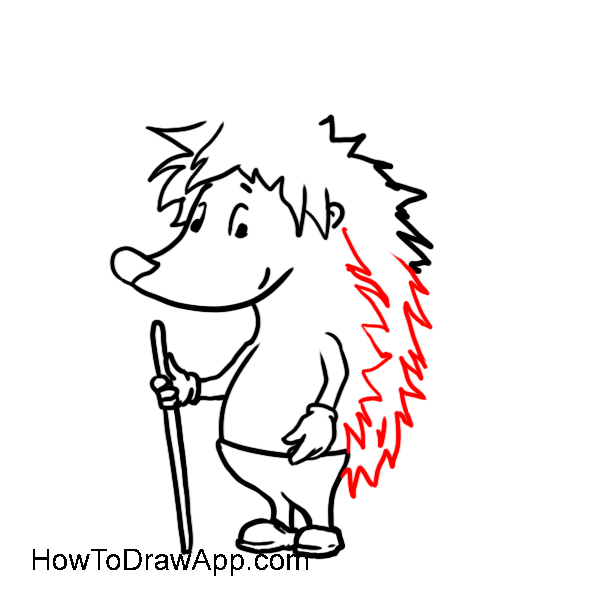 Add two lines of spines on the back. 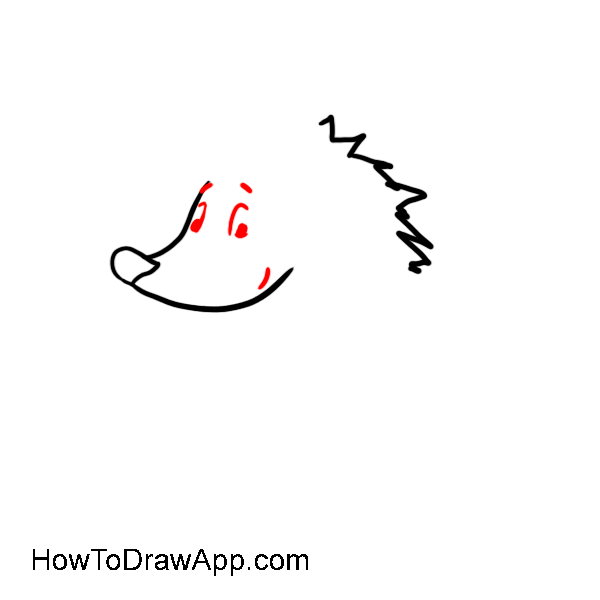 Draw a small cap at the top of the head. 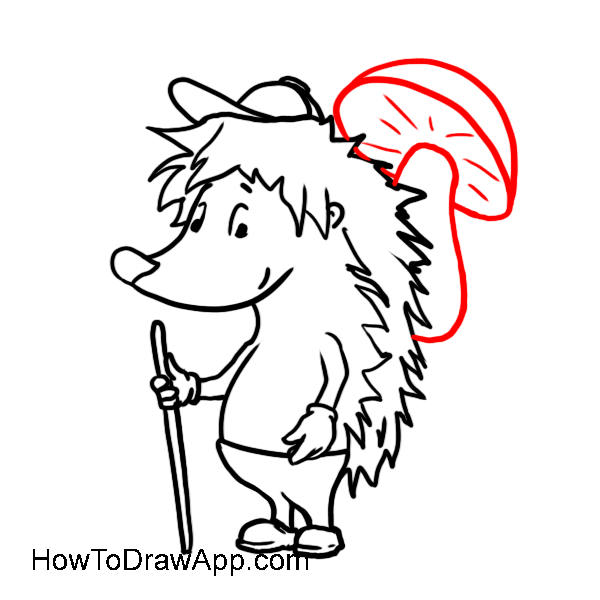 Draw a mushroom on the back of the hedgehog. The hedgehog is ready for coloring. Paint the picture. Add some light and shadow where it’s necessary.